I found something new in my Comments section -- the area outlined in red below. 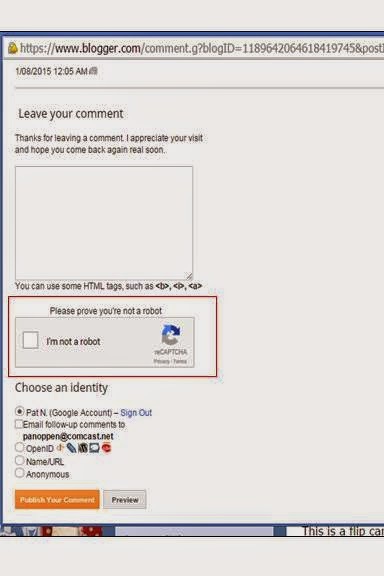 I didn't choose to add this; it just appeared by itself. Does anyone know where it came from and how I get rid of it?! Thanks if you know anything about it. 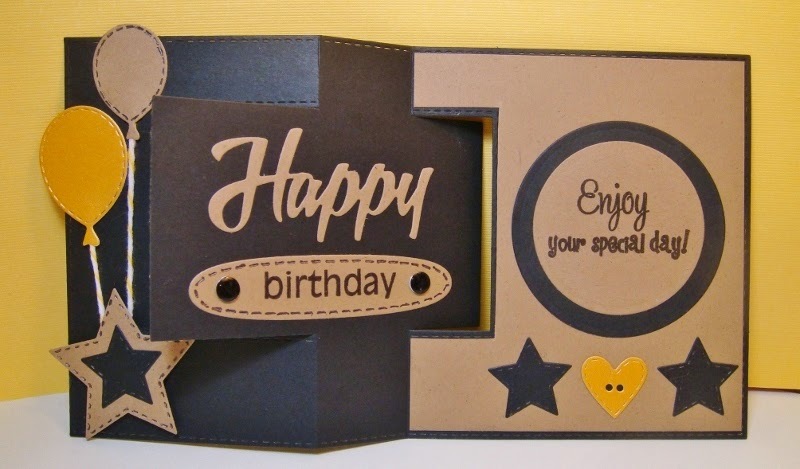 Here's a card I wanted to share that I made a few weeks ago for my nephew's birthday. 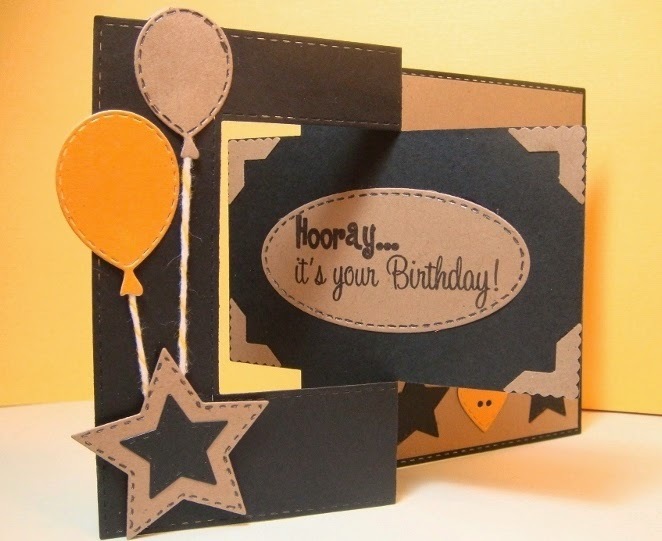 This is a flip card from My Creative Time, but Emma calls it a pop-out card. 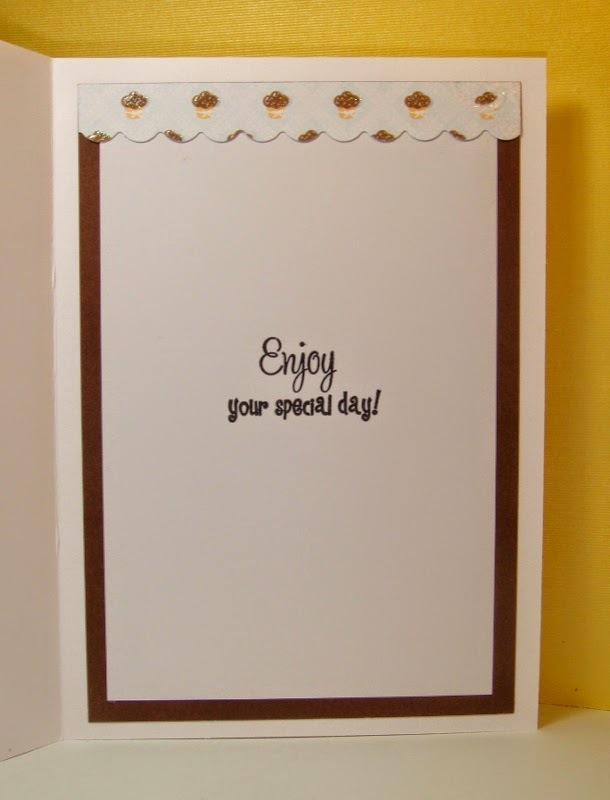 Using her dies and stamps makes it so easy to put a project together. I made this birthday card for a friend at work, and I love how it turned out. What do you think? 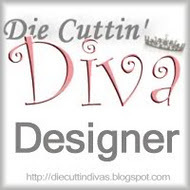 This is something I've been wanting to try--framing an image using a cut-out shape. 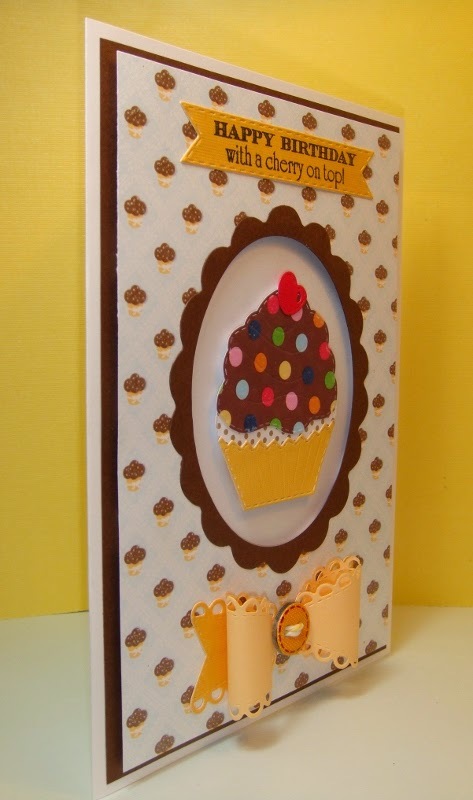 That scalloped oval is an older Sizzix die I have, so I just cut the appropriate size oval in the cupcake patterned cardstock from DCWV Sweet Stack and framed it. The cupcake is from My Creative Time's Celebrate Good Times Stamp Set, and the cupcake frosting is from DCWV Animal Crackers matstack. The sentiment is from More of My Favorite Sayings, and the Stitched Label Die and Small Stitched Scalloped Bow are also MCT products. Here's a view from the side. The cupcake is popped up on foam squares, as well as the cupcake paper layer, although it may be a little hard to see in this photo. 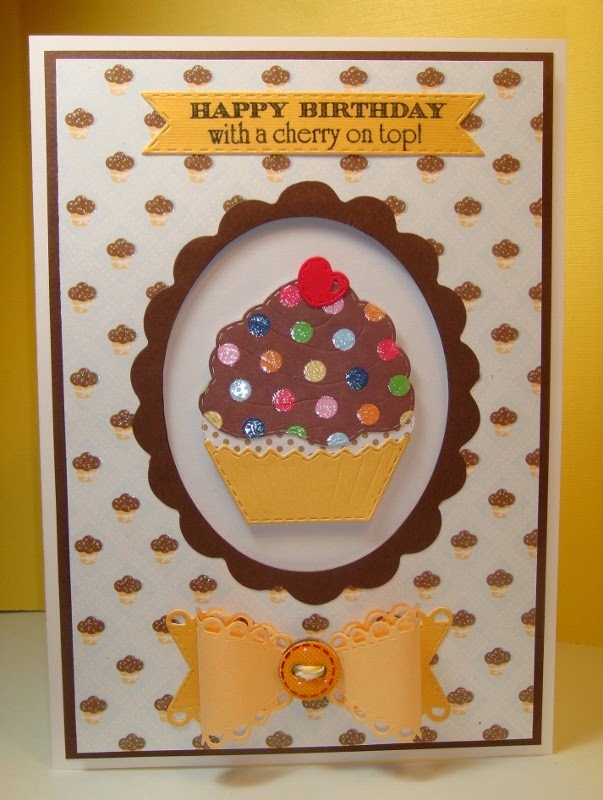 The inside sentiment is from the same MCT set as the cupcake. Sure appreciate your stopping by, and hope you liked my card. It's been a while, I know. 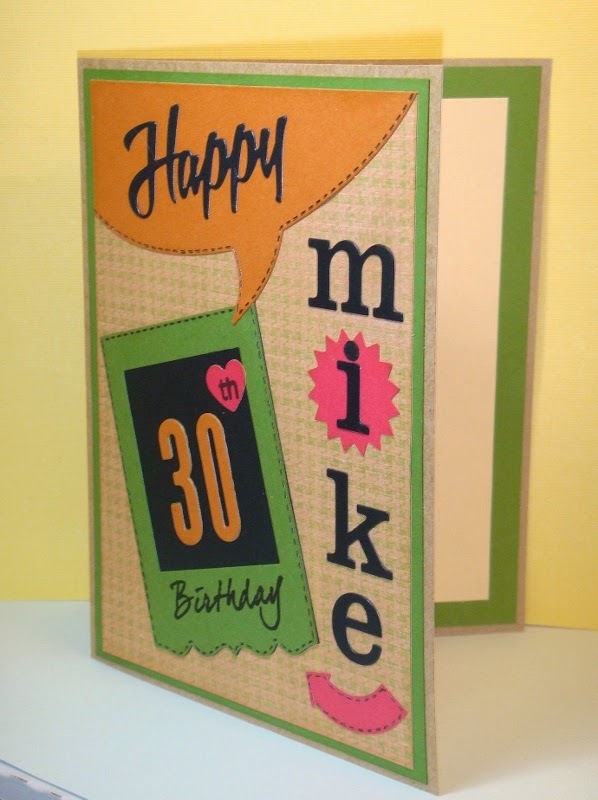 I've been taking a break from crafting, but I actually made a card for my nephew's 30th birthday that I'd love to share with you all. So if you're here visiting, thanks so much for stopping by. 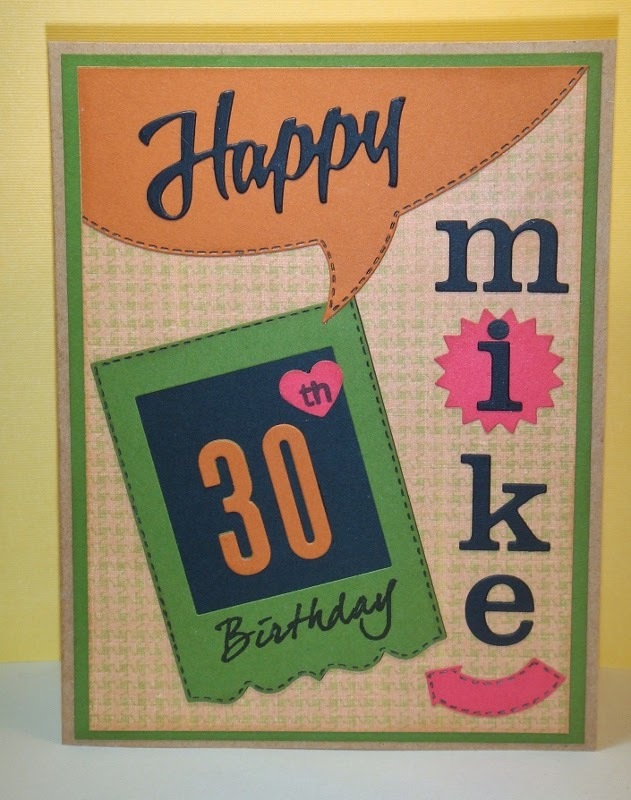 I started with a kraft card base, and added a green mat inside and out, and patterned paper on top of that. All papers are from my scraps. All dies are from My Creative Time. Thanks again if you're reading my post; appreciate your visit!